I joined Student Voice two-and-a-half years ago when I was put forward as a Form Captain by my form tutor and since then I have never looked back. 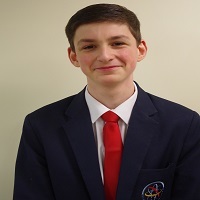 I asked to be a Form Captain because I was interested in the way the school operates and performs and during this time I have done many amazing things with the Student Voice group. I have a passion for how the school is run and ensuring that everyone is happy within the school. I feel that Student Voice is extremely important because it allows students to make decisions that involve them and put suggestions forward on how the student body feels the school should be run. These changes are often made to benefit the school and it is these decisions that keep me looking forward to more. My time at the Academy: I joined The Macclesfield Academy in September 2011 because I felt the school prospectus had many opportunities for the newcomers to the school; from there the entirety of Year 7 put our trust into Mr Hedge. Since then I have gained 4 GCSEs and will take another 7 GCSEs this summer. I am proud to be a member of the first year to begin at this school as an Academy and I honestly think that the school has been really successful and will continue to become one of the best in the country. A little more about me: I enjoy using computers in my free time and I am a member of 201 Squadron Macclesfield ATC. I would like to pursue a career as a pilot and I am hoping to move onto A levels next year. I have thoroughly enjoyed my time at the Academy and would definitely recommend this school to anyone who is thinking about joining in the future. 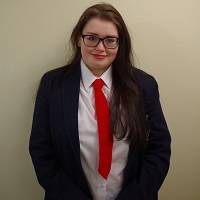 My name is Shoni Rae and I am currently in Year 11 at The Macclesfield Academy as a Community, Literacy and Publicity Prefect. My role within the Academy is to promote literacy in the school, to hopefully encourage the students to take more of an interest in both English Literature and language. I attend meetings with the School Council where we discuss plans for the school as well as any issues that may have arisen; this is a great opportunity for the Academy students to give their opinions and to have a say in new ideas that are put forward to improve the school. 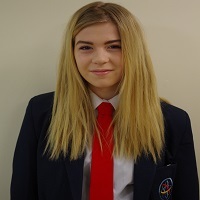 When I arrived here in Year 7 I was terrified of the transition between primary and high School, but with the help of the staff and the positive atmosphere in the school, I quickly became much more comfortable and confident. Throughout my time here I have always been supported 100% by the teachers and I know that if I ever have an issue there is always someone that I can talk to. Thanks to the school and its policy of being able to begin GCSEs early, I already have 6 GCSEs grade A* to B and am on track to get seven more by the time I leave in the summer, which means I will be able to begin A levels in my chosen subjects by next year. Altogether, the Academy is a great school that has allowed me to make new friends, meet new people and grow as a person. I will be sad to leave at the end of the year but can’t wait for the next step of my education, which wouldn’t be possible for me to do without the help and support of this school. I can fully be myself at the Academy due to the friendly environment, teachers and students. If I ever have a problem at home or in school the teachers do everything they can to help me. They are very approachable – I get along with every single teacher. They treat you seriously, they listen, they are interested in me personally. The teachers have really helped with my preparation for college. They have given me lots of help and advice for the future. When I have been worried about exams, teachers have helped me to be calm with their advice on preparation tips. Events like sports day, and the school productions and concerts bring the school together. There is a really friendly atmosphere. You are offered so many opportunities – NCS (school trip), language trips, watersports and art trips. For me, the Creative Arts department is what has made me so confident, due to the brilliant, inspiring teachers. After school productions – and following the recent annual Music Festival, which involved all schools in Cheshire – parents have come up to me saying they can see my enthusiasm through my performance. Others say “you were amazing” and someone said “go on Xfactor – you’ve got character”. One comment, which will stay with me, was from a mother whose son was involved in the festival. She said “people like you are what makes me want to send my son to this school, you’re so full of enthusiasm and so inspiring to younger students”. This makes me happy as it gives me confidence to consider working with children as a children’s TV presenter/entertainer. Overall, I can be myself, I enjoy coming to school as I have wonderful teachers. I have become an independent person.